Here are some ideas for your baby's nursery to get you dreaming, along with some practical advice that can help the planning process go smoothly. If you’re expecting, you might find yourself doing something strange. No, I’m not talking about the cravings or the frequent bathroom visits. I’m talking about nesting. At some point, an instinct sets in and all we want to do is prepare for baby’s arrival. Once you’ve taken care of baby-proofing and picking out a crib, the best part of nesting is planning out your baby’s nursery space. 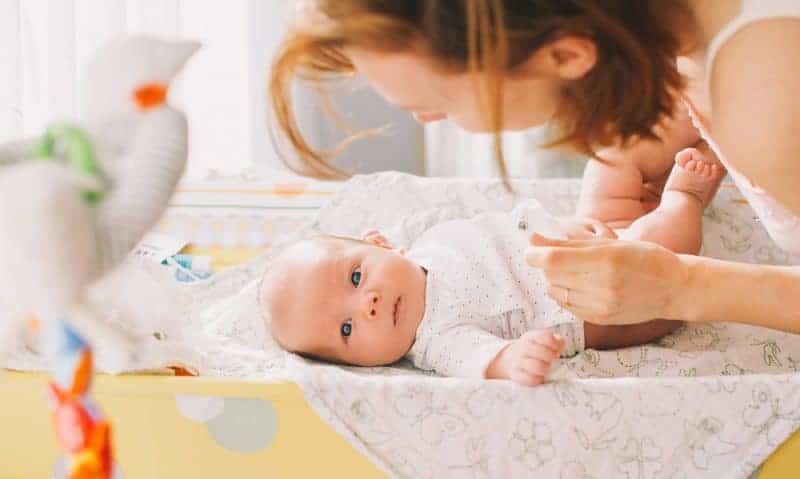 It has to be a functional room where your new baby can sleep safely and you can take care of dressing and diapers, but it’s also the place where you’ll spend extra time rocking your child to sleep, and bonding with them as they nurse. It’s where your child will dream and discover the world around him or her. Obviously, there are a million ways to create a beautiful nursery. However, here are some ideas to get you dreaming, along with some practical advice that can help the process go smoothly. Make the changing table functional above all. You want things to be in easy reach so you don’t have to step away from the table while your child rolls around. That’s why it can be a great idea to get good-looking storage in the your nursery. Have drawers and shelves where you can place wet wipes, extra towels, diapers and clothing. Consider adding in module cubbies, or hanging storage pockets. Always go stain-resistant and washable when possible. Babies make messes out of everything, from the wallpaper to the couch and carpet. Consider chair covers so that you can wash as much as possible. And then there’s the color scheme. White looks sweet, and it works great for a baby’s room because it’s clean and easy to pair with fun colorful accents. But consider grey instead. It’s an easy neutral that integrates well into either a warm or cool color scheme. But most of all, it doesn’t show every little mark. Many new parents are concerned about whether or not the nursery decor that they pick will suit the child. Maybe the baby won’t like the mountain theme, or be annoyed by the cartoon owls. Well guess what? The baby doesn’t care! Honestly, it takes a while for babies to even distinguish colors, so even the color scheme won’t matter at first. Not to the baby, at least. You, on the other hand, are going to spend a lot of waking hours in this room. You might be stressed, and tired as you’re rocking the baby back to sleep in the middle of the night. That’s why the decor in the nursery is more for you than it is for your baby. Pick things that will cheer you up. Pick things that will calm and relax you. And if there are cutesy, babyish design elements that you’ve always loved, go for it! This is the one time when those things are completely appropriate! One of the hottest trends in nursery design right now is nature motifs. One thing we know about people of all ages is that they love nature… it’s just in our biology. And babies don’t get near as much time outside as they might like. Natural motifs and elements are also really soothing for you. So think about large-scale florals on the walls and even on mobiles. If florals aren’t your thing, you might also want to try trees, greenery, and even succulents. Once you get started picking out decor and fun toys for a nursery, it can be easy to go overboard. Soon, your nursery can become crowded with oversized plush toys, thoughtful gifts, and various baby paraphernalia. Instead of going crazy with decorative elements that have no function, add accents that don’t clutter up the space. For example, you might repaint the cradle in an interesting accent color (with non-toxic paint, of course) or update something necessary like the switchplate with something fun and playful like this lullaby plate. An easy way to soften up the overall look of the room and make it look cozy is to add heavy curtains. These curtains are also great at blocking out the daylight during naptime and ensuring that your child can get shuteye while everyone else is out and about. You might want to imagine that your baby will stay a baby forever, but the truth is that baby nurseries are very temporary. 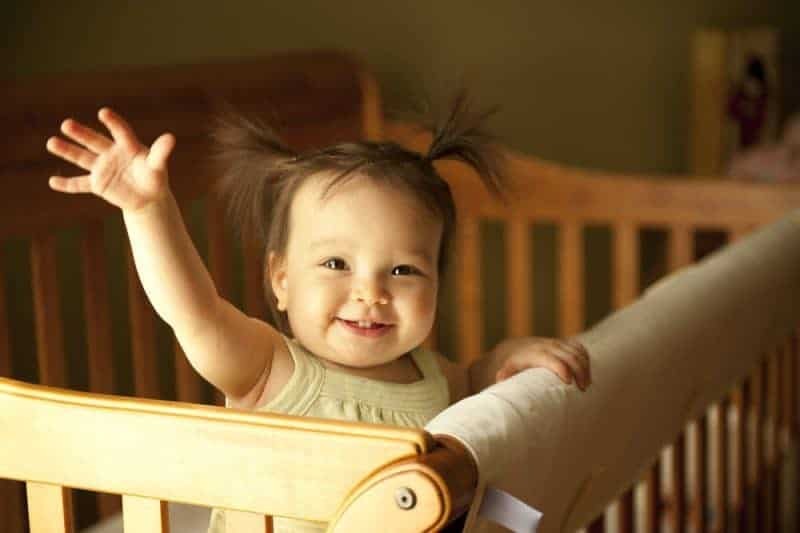 In just a few years, your baby will be a child who needs a full-size bed and has his or her own preferences about decor. That’s why many parents like getting wall decals and removable wallpaper for the nursery. This allows you to easily add in fun, child-centric graphics without changing too much in the house. I also like wall decals because they provide decor without taking extra space (as shelves will) and you don’t have to worry about earthquake-proofing (or roughhouse-proofing) things that can easily fall. A quick search online will soon provide tons of irresistible ideas for your child’s room. I hope that you found these ideas for your baby's nursery helpful. Happy nesting! 11 Bottle Feeding Must Haves For Formula Feeding Parents + Shopping Checklist! Aw, love these ideas!! Especially the wall stickers to really make it feel fun but are removeable for when your kiddo ages! Love these ideas. I’ve never really had a nursery to decorate. Our babies sleep in our room for the first couple months and then go right to sharing with their siblings. I’ve always wanted to decorate a nursery though. I’d keep it simple and functional like you say. Some thoughtful ideas, really nice for you to share.